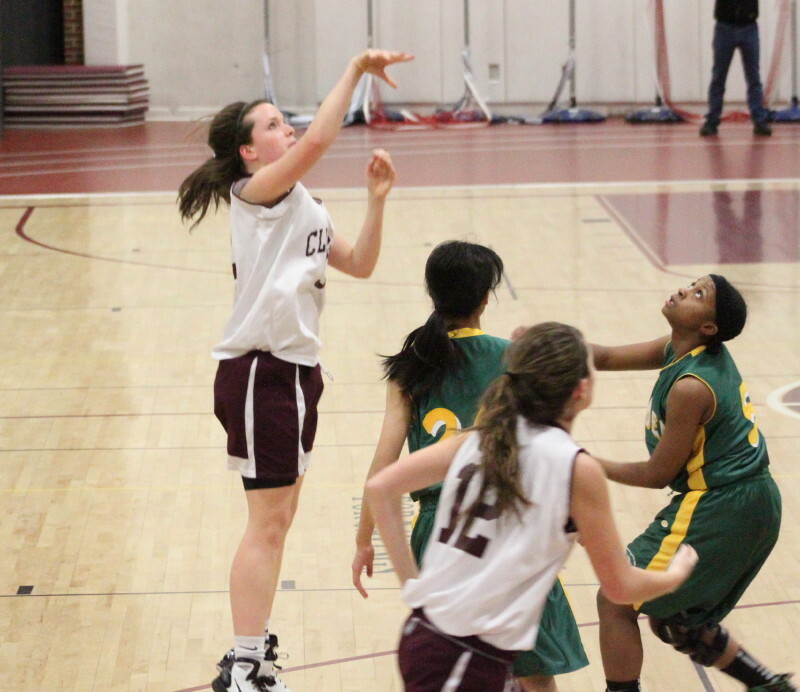 Beth Castantini (15 points) prepares for a shot from in close. The Clippers dominated the paint on both ends. 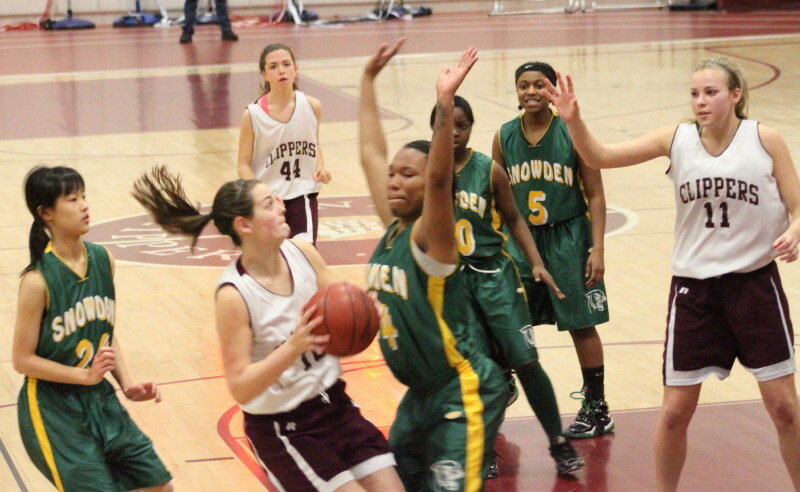 (Newburyport) The Newburyport Clippers blew away Snowden in the second quarter and cruised to an easy, 69-26, victory in the first round of Division 3 North. 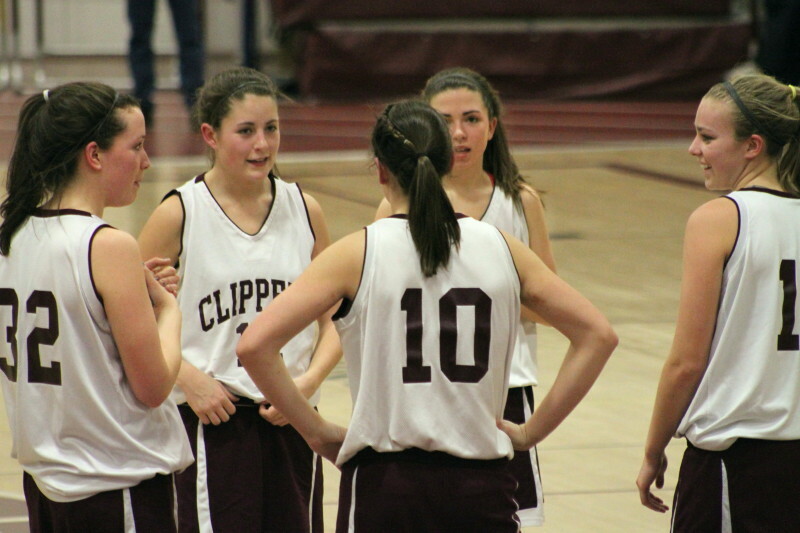 The Newburyport girls are now on an eight-game winning streak. The Clippers next opponent will be Ipswich on Friday night (7PM) at Ipswich. Newburyport has already faced, and defeated, the Tigers twice this season………..but neither game was at Ipswich which is where this one will be played. I can assure you that that game will be a whole lot tighter than the Clipper/Cougar one was that I’m attempting to describe in this space. For 7 ½ minutes it looked as if the visiting Cougars might be able to make a game of it. Though very small (tallest player is 5-9), the team from the Boston City League made shots and only trailed, 16-13. After that, the “making shots” part of it vanished. Meanwhile, the Clippers continued to shoot ‘til they scored on most possessions. Sam Leahy (14 points) gets a clean look. Over the next 13 ½ minutes of playing time, the Clippers outscored the Cougars, 41-4! That’s not a typo. Newburyport shredded the Cougars’ zone defense by giving up high percentage shots to get teammates even higher percentage shots. The Clippers shot 50% in the decisive second quarter (12-for-24) and didn’t have a single turnover during a twenty-seven point explosion. There was textbook offense and defense. I had to wonder how serious Snowden (5-8) was about the game. They didn’t have a single fan that I ever heard. Plus, their coaching staff didn’t call a timeout until the team was down, 39-15, with 2:15 left in the second quarter. By that time, Newburyport was on a 23-2 run. By then, not only had the cows left the barn, they had moved to another state! The Clippers (14-7) led, 45-17, at the half. The Clipper starters were very relaxed as they awaited the beginning of the second half with a 45-17 lead. Beth Castantini (15 points), Sam Leahy (14 points), and Molly Rowe (12 points) were in their usual spots as the Clippers top point getters despite short minutes in the second half. The three of them looked for each other on offense and dug in on defense. They will certainly be facing tougher competition ahead. Haley Johnson (8 points) seldom shoots but her rebounding, defending, and passing were important in this game and are a big reason why the team is having such a good season. 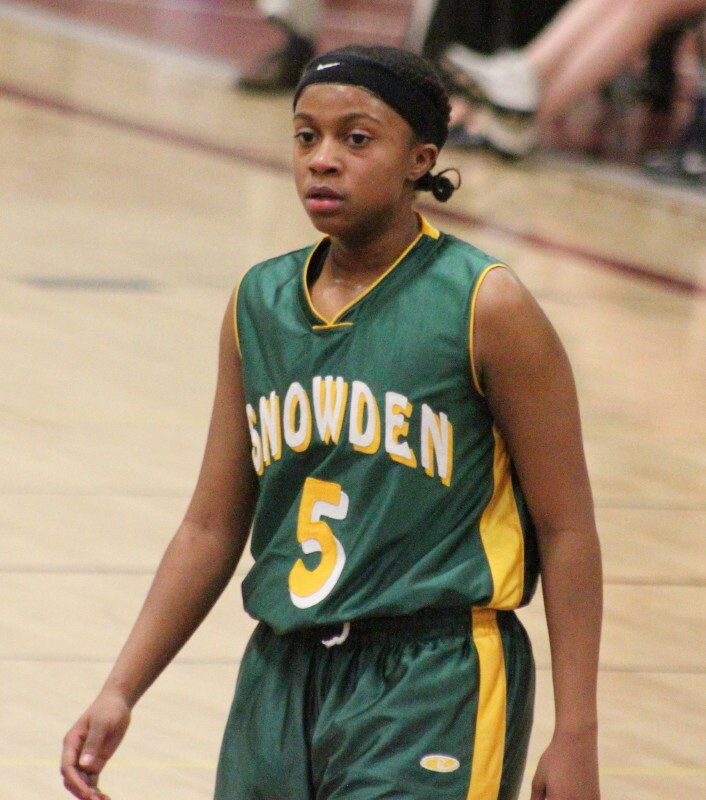 Jovanna Sandifer (6 points) scored the most for Snowden. She was a very fancy dribbler but at 5-4 got into trouble when she got close to the basket and nearer to Newburyport’s taller defenders.